The Sailing Instructions for the Rhodes 19 Nationals are published here. We will review these at the skippers meeting November 4. Look forward to seeing everyone at Southern Yacht Club. 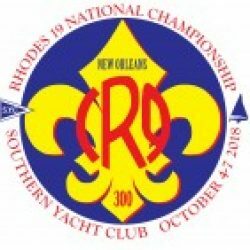 In order to accommodate visiting sailors during regattas, Southern Yacht Club has instituted a simple process for issuing guest cards that will provide you the privileges of a member while you are here for the Rhodes 19 Nationals. Simply fill out the credit card application posted here and bring it to the reception desk on the second floor when you arrive at the club. The receptionist will run your credit card and issue you a guest card that will be accepted in the dining room and the bar. All your charges will be posted to your credit card on file. For security, we recommend that you fill out the form in advance and present it when you get to the club rather than send it off early. If you have any questions, don’t hesitate to contact me at tom@thomaslong.net. Look forward to seeing everyone down here in just a couple of weeks. We are only two weeks away from the start of the Rhodes 19 Nationals at Southern Yacht Club for a weekend of great sailing and friendly Southern hospitality. The complete schedule of races and social events is posted here, so you can make your plans. 1) The skippers meeting will be held at 6 p.m. in the East Dining Room of Southern Yacht Club prior to the start of the annual class meeting. 2) The practice race on Thursday has been moved back an hour to 1400 to give more time for everyone to rig boats. The New Orleans Municipal Yacht Harbor right in front of our club is finally being rebuilt, some 13 years after it was destroyed by Hurricane Katrina. (Some things just take time.) We are not certain right now how or whether the removal of the old marina will impact our club’s waterfront, but we have been assured by local officials that there will be space to keep all the boats in the regatta. So come on down and enjoy what we hope will be a great weekend of racing and partying. We look forward to seeing everyone down here.